AvantFAX allows the administrator to permit users to view all incoming faxes or only faxes that arrive on certain fax modems. 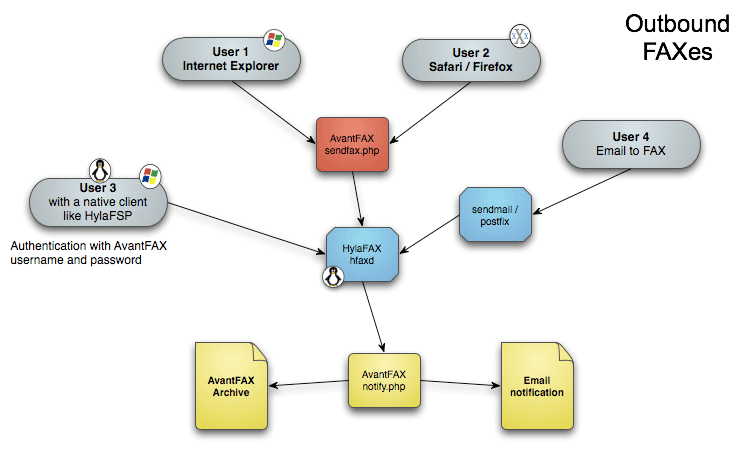 All faxes that arrive pass through AvantFAX's database system where the fax is archived in PDF format and the preview images are made for the web interface. If the sender's fax number is setup for Fax2Email, AvantFAX will send the received fax directly to the assigned email address and skip the web interface. 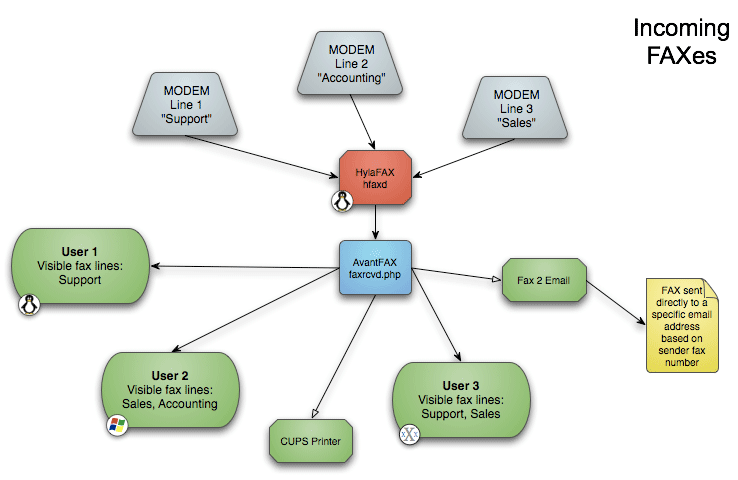 As for sending faxes, users can either use the online interface or an application installed on the user's computer with which the user authenticates with the HylaFAX server with their username and password. Once the fax has gone through or if there is a problem sending the fax, the user will receive a notification email. If the fax was sent successfully it will be archived for future reference.